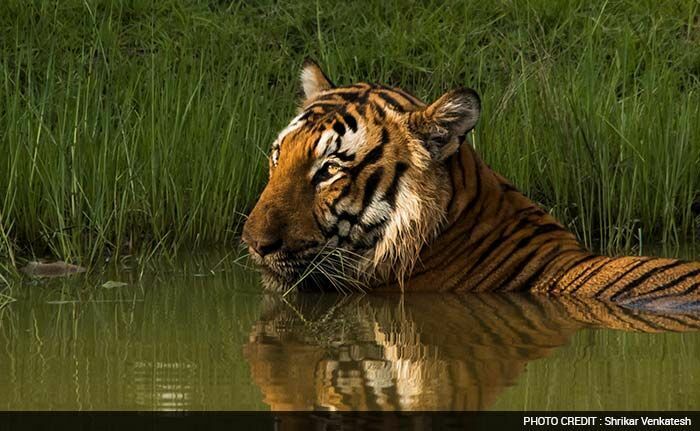 Shrikar Venkatesh's Tiger Story: "As we rambled along the bumpy safari track, we received news of a tiger resting in a water body. When we reached the pond, I was able to take this image. I think tiger population is a good indicator of the progress which our country is making in wildlife conservation. Did you know tiger population lies on top of the food chain and a healthy tiger population directly points to a healthy population of prey base? With the tiger population now on the rise, we must look for ways to avoid the looming problem of Man-animal conflict, in the fringes of forests."